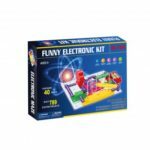 This Electronics Kit contains 19 parts and and instructions for more than 2000 exciting projects. 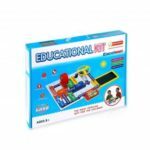 With colorful electric building blocks to learn about electricity and how electronic devices work. 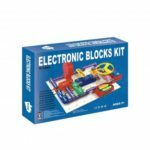 With the innovative snap-together blocks in the Electronics Kit building system, children can safely and easily begin experimenting with electronic circuits. Safe and easy to operate. Each component has a code printed, snap-together parts design, well-connected and no extra tools needed. Edutainment way for kids to study. 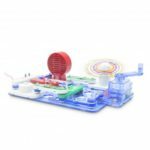 Kids can apply the components to assemble circuits they design, which stimulate their interest in science. Perfect educational gift for kids, great family experiment time, enjoy your parent-child interaction.